As Vice President, Program Operations, Mr. Dur is responsible to the Sector President for Business Operations, program execution, and acquisition/alliance activities of the Sector. In addition, Mr. Dur’s responsibilities include chairmanship of the C4I Integrated Product Team. 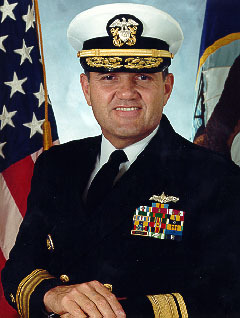 During his Naval career, Mr. Dur achieved the rank of Rear Admiral and held such posts as Assistant Deputy Chief of Naval Operations; Director, Navy Strategy Division; Commander, Battle Force United States SIXTH Fleet; Commander, Cruiser Destroyer Group EIGHT; United States Defense Attaché accredited to the Government of France; Commanding Officer, USS YORKTOWN; and Director, Political Military Affairs on the staff of the National Security Council.In addition, Mr. Dur is the recipient of numerous awards and decorations, including the Defense Distinguished Service Medal and the Navy Distinguished Service Medal. Following his Naval career, Mr. Dur joined Tenneco, Inc. in 1995 as the Corporate Vice President of Operations Development. In 1996, Mr. Dur was promoted to the position of Executive Vice President of Walker-Gillet Europe in Edenkoben, Germany, where he led the European after-market business. In 1997, Mr. Dur assumed the position of Vice President, Worldwide Business Development and Strategy at Tenneco Automotive in Lake Forest, Illinois. A native of Bethesda, Maryland, Mr. Dur received a bachelor’s degree in Government and International Studies and a Master’s degree in Soviet East European studies from the University of Notre Dame. He earned a Master’s degree in Public Administration and a Ph.D. in Political Economy and Government from Harvard University. He and his wife, Kathleen, have two children and they reside in Alexandria, Virginia.